Various states celebrate the New Year in their own characteristic ways. Although not all these fall on the same day, the Telugu, Kannada, Marathi, Kashmiri and Sindhi New Year fall on the same day – the first day of the month of Chaitra, which is the beginning of spring. In mid-April, the Poila Baishakh celebrations herald the arrival of spring for Bengalis whereas the Assamese in the northeast usher in the New Year with the Bihu festivals. Around this time Punjabis get agog with Baisakhi and Tamils in the south with Puthandu that mark the beginning of their new year. The Hindus of Kashmir start their New Year with Navreh – in mid-March the southern Indian states of Karnataka and Andhra Pradesh begin their new year – Ugadi. The Marathas celebrates their new year Gudi Padwa, and the Sindhis observe Cheti Chand, and the people of Kerala in the south welcome their new year – Vishu. Baisakhi is the harvest festival celebrated in Punjab indicating the merriment of the beginning of a new solar year. It is one of the most significant festivals of Sikhs and is celebrated with all pomp and show. Baisakhi is significant for both Hindus and Sikhs. For Hindus, it is the stat of the New Year. Besides, it is the day that the goddess Ganga descended to earth. In her honor, people gather for ritual bath in the holy cities along the Ganges. For Sikh communities, Baisakhi commemorates the date in 1689 when Guru Gobind Singh founded the Khalsa. On this day, Guru asked five volunteers to offer their lives and took one at a time into a tent. Although each time, he emerged with a bloody sword, actually he had sacrificed a goat only. A series of parade are held in honor of the “Beloved Five”. The festival is celebrated with full vigor and enthusiasm in both rural and urban areas. Being a social festival, along with religious activities, there are plenty of things to enjoy including dancing, eating tasty, spicy food items and merry making. 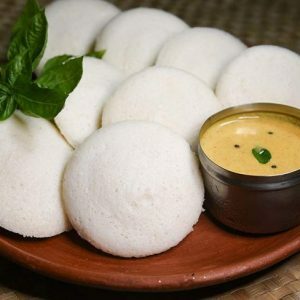 Like any other festival, people indulge in preparing yummy dishes like Coconut Laddoo, Sarsoon ka Saag, Makki ki Roti, Pindi Chana Battura, Biriyani, Dry Fruit Kheer, Til Gajak, Wheat Flour Laddu, Carrot Halwa and Peele Chawal. Some families have tradition to view Kanni which means the auspicious sight. It is believed that viewing Kanni at dawn bring good luck, well-being and prosperity to their families. They tastefully display items like gold and silver, jewelry, betel â€leaves, nuts, fruits and vegetables, flowers, raw rice and coconuts etc. in the Pooja room. Many special dishes are prepared on the auspicious occasion and are offered to the Gods. The yummy dishes include Payasam, Puran poli, Manga Pachadi, Veppam Poo Pachadi, Paruppu Vada and many more. Gudi Padva is celebrated as New Year’s Day in Maharashtra. “Gudi” means a banner raised to announce victory and joy while “Padva” derived from the Sanskrit word “Pradurbhu” meaning the 1st day of the lunar month. As per Marathi calendar it denotes the first day of Chaitra marks the beginning of spring. Lord Brahma is worshipped on this auspicious day as on the very day, Lord Brahma created the universe. The doorway of the house is decorated with thorans, Ritualistic worship and hoisting Gudi mark the day. The Gudi, Lord Brahma’s flag is hoisted in every house to symbolize the victory of Lord Rama. A bright yellow or green cloth is tied to the tip of a long bamboo. gaòhi (a type of sweet), Neem leaves, a twig of mango leaves and a garland of red flowers are tied over this Gudi. A silver or copper pot is placed in an inverted position over it. Altogether, it is called Gudi. Like any other festival, delicious food items are prepared during Gudi Padva including Puran Polis, Soorith Pak, Usal, Shrikand, Pooris, Jalebis, and Basundi. 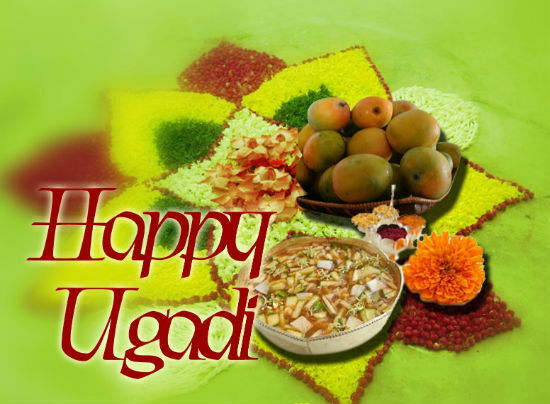 In Karnataka and Andhra Pradesh, it is celebrated as Ugadi. People begin the day with ritual showers followed by prayers and Panchanga Shravana in the evening. 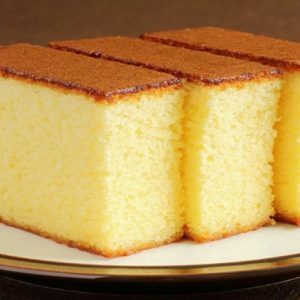 Even though, the names are different, all the festivals signify the beginning of the New Year and astrologically, the date marks sun’s entry into Mesh Rashi. Manga Pachadi and Veppam Poo Pachadi are a must for this festival. This has its own significance. The Pachadi has sweet, salt, sour and bitter taste which symbolizes the different colors of our life and teaches us that we have to face everything from success to defeat gracefully. Feel free to comment or share your thoughts on this "Significance of Hindu New Year Festivities" article from Awesome Cuisine.